Donald Duck and Friends (2009) #347 continues from Walt Disneys Donald Duck and Friends (2003) #346.Donald Duck and Friends (2009) #362 continues to Donald Duck (2011) #363 .<br />The Quack is back in this first BOOM! Kids issue! Hes no double o seven, hes Double Duck! Donald shows us his dashing, adventurous side as a secret agent on a mission to stop a dangerous ice-melting machine and save the world from rising oceans! 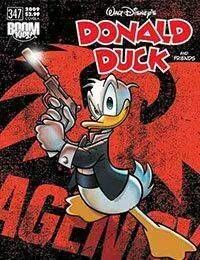 This is a Donald Duck like youve never seen! A brand new start at a brand new company for one of the worlds most iconic characters and longest-lived, most-published comic book series!